I've been looking for all the modular stairs - I'm assuming that we're not replacing them in our defaults, but what I am going to do is make them in our woods and metals using Numenor's and Huge Lunatic's modular stairs that don't need scriptorium. There is one stair model that is missing - That is Steadfast Stairs from the Base Game. It is very similiar to the Chic stairs, but not the same. It's different on the railing - the stair steps are the same as the Chic stairs are the same of the Deck stairs. Is there a 'how to make EA stairs recolourable tutorial' for me to make the stairs recolourable or can we beg Lunie to do one more? Or do we ignore the Steadfast Stairs? I didn't do those as I thought the mesh was the same as the chic. Now that I see them next to each other, I can tell they are different. I will add this to my list. At the moment I'm trying to get the BV ones recolorable, just having issues with the railings. I...think I need more than a tiny nudge! Okay, done! And I did the country ones too. Whoa that was fast! Like I would think this was the kind of thing that required like several days of mental preparation before you even felt ready to do and then when you did get to work you needed the house all to yourself and the phone off the hook and you had to eat a lot of carbs because it REQUIRED YOUR COMPLETE ATTENTION AND ALL YOUR ENERGY ha ha ha I'm so happy you're so smart!!! House to myself - Check! 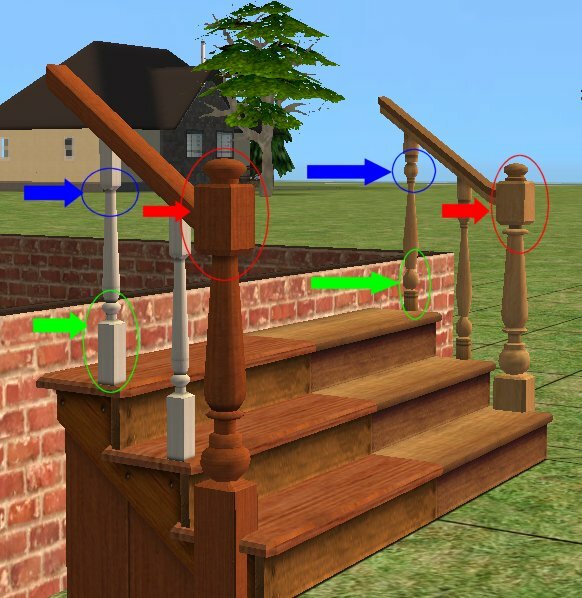 Also uploaded a hider at MTS for the non-recolorable duplicates of the recolorable stairs. Shasta- thankyou for nudging! I appreciate it. BTW you can nudge me anytime!